In this story, it’s 1992 and Lawson owes a friend a favor. It sounds simple enough, but nothing ever is for Lawson. 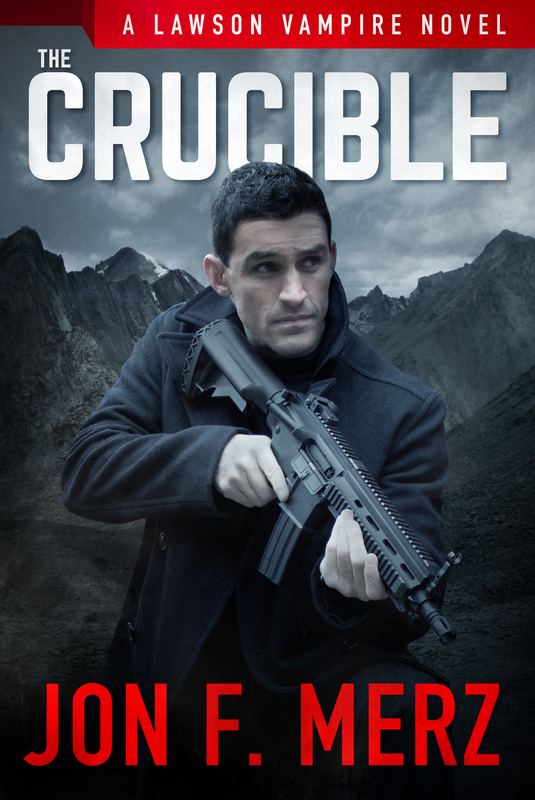 The story runs 7700+ words and will hopefully tide all you Lawson fans over until the release of the next Lawson novel, THE CRUCIBLE. Have at it & thanks again for being such awesome fans! Next Saturday, October 5th, I will be appearing at the Zombie Walk in Asbury Park, New Jersey. From 10am until whenever, I will be at the Baen Books booth in the parking lot of the Stone Pony. Come on by and say hello. Grab a picture and hang out. More info on the event can be found here. 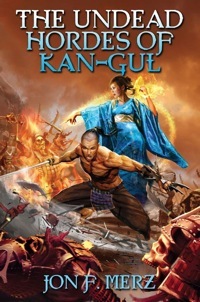 Baryon Online has a new review of THE UNDEAD HORDES OF KAN-GUL up as of this morning. Barry Hunter, who runs the mag, has been a supporter of my work for a while and I’m pleased to see he enjoyed my latest. Thanks Barry! I don’t write a lot of horror novels, despite having written a lot of horror short stories when I was starting out as a writer. VICARIOUS is my one “legit” horror novel (although PREY could be called SF horror, I suppose) that I had a blast writing. Every once in a while, though, I get that urge to write something scary. I’ve had an idea percolating for some time now. This morning I started writing chapter one. Given what else is on my plate and commitments for other writing projects, it will probably be about a year before it sees the light of day, but I am looking forward to working on it when time permits. It’s definitely going to be a guilty pleasure, but oh so fun…especially since I’m setting the book in the town I live in. Last week, I asked my fans and friends to push sales of my latest novel THE UNDEAD HORDES OF KAN-GUL and in exchange, I sent out a 3-chapter excerpt from the forthcoming new Lawson Vampire novel, THE CRUCIBLE. If you missed it, you can check it out here, unedited. October will see the release of a new installment in my feudal Japan zombie series, ZOMBIE RYU. This has been a long time coming, so make sure you’ve got episode one and episode two already! Don’t forget, you can grab a print copy of THE UNDEAD HORDES by going here. As you may know, each year I write a special Lawson Vampire Christmas story for my fans and give it away absolutely FREE here on my website. This is one of the ways I say thank you to all my awesome fans and friends for their support over the previous year. You guys are the best fans an author could hope for, so I like to give something back to you. This year’s offering is THE SNITCH WHO STOLE CHRISTMAS and it runs around 8,200 words. This story takes place in 1999, a few years before the events that happen in the first published Lawson novel THE FIXER. You can download the story very easily by simply right-clicking or command-clicking the file links below and saving the file to your computer. Once you’ve saved it, you should be able to import the file to your e-reader of choice. I also have a .pdf file as well in case you prefer to print it out or read it on your desktop computer. I’m very pleased to be able to offer this story to you all. If you enjoy it, please be sure to tell your friends to come and grab a copy for themselves as well. Last year, we had an amazing number of people download the story and I’m hoping to surpass that number this year. Since it’s free, folks have nothing to lose by downloading it. I hope you all enjoy it! Merry Christmas, Happy Holidays, and thank you again for all your support during 2012. THE FREE DOWNLOAD IS NOW OVER. THANKS TO THE THOUSANDS OF PEOPLE WHO GRABBED A COPY! I HOPE YOU ENJOY IT! Since we’re heading into the end of the year, I thought I’d draw up a list of coming attractions of SOME of the stuff I’ll be publishing soon. So here ya go! There’s more than this, but this is enough to make my head explode (in a good way!) I hope you’re as excited as I am! And by the way, my awesome offer still stands for those of you who want to give my ebooks as gifts this holiday season. I strongly encourage you to take advantage of it since you get something as well. And please share this with your friends and family. There’s nothing like the gift of some adrenalized mayhem courtesy of your crazy author pal to make the holidays into a thing of beauty!